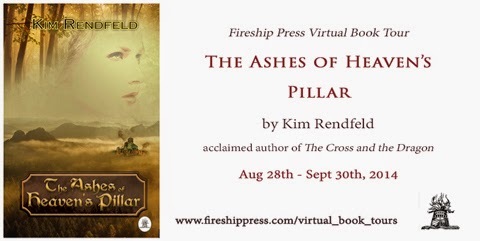 This week, we're pleased to welcome author and Unusual Historicals contributor Kim Rendfeld with her latest release, THE ASHES OF HEAVEN’S PILLAR. Join us again on Sunday for an author interview, with more details about the story behind the story. 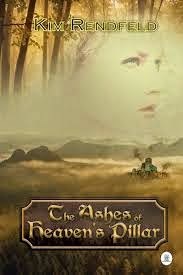 One lucky visitor will get a free e-copy of The Ashes of Heaven’s Pillar. Be sure to leave your email address in the comments of today's post or Sunday's author interview for a chance to win. Winner(s) are contacted privately by email. Here's the blurb. Can love triumph over war? 772 AD: Charlemagne’s battles in Saxony have left Leova with nothing but her two children, Deorlaf and Sunwynn. Her beloved husband died in combat. Her faith lies shattered in the ashes of the Irminsul, the Pillar of Heaven. The relatives obligated to defend her and her family instead sell them into slavery. In Francia, Leova is resolved to protect her son and daughter, even if it means sacrificing her own honor. Her determination only grows stronger as Sunwynn blossoms into a beautiful young woman attracting the lust of a cruel master and Deorlaf becomes a headstrong man willing to brave starvation and demons to free his family. Yet Leova’s most difficult dilemma comes in the form of a Frankish friend, Hugh. He saves Deorlaf from a fanatical Saxon and is Sunwynn’s champion - but he is the warrior who slew Leova’s husband. Set against a backdrop of historic events, including the destruction of the Irminsul, The Ashes of Heaven’s Pillar explores faith, friendship, and justice. This companion to Kim Rendfeld’s acclaimed The Cross and the Dragon tells the story of an ordinary family in extraordinary circumstances. Author’s note: I was thinking of September 11, 2001, when I wrote this scene, which takes place after Eresburg is conquered. Leova and other Saxons agree to a bargain with the Christian priests: safe conduct to the village for anyone who accepts baptism. When the group reached their village at the hilltop, cries shuddered through the crowd. Longhouses were nothing more than scorched beams, and the earth on the farms was torn. The fortress’s great wooden gate looked as if a giant had ripped it asunder. What they didn’t steal, they burned, Leova thought, stiff with fury, afraid to look to her right where the Irminsul had once stood near the river. “May the Earth Mother curse the Franks,” Deorlaf said through clenched teeth. Shaken from her sadness, Leova looked up toward the Christian priests. Father Osbald’s lips were thinned and pressed together as if he was stopping himself from saying something. Some priests were leaning toward their fellows, gossiping perhaps, while other tapped their hands against their thighs. Apparently waiting for the Saxons to expend their grief, none had heard her son. Deorlaf glowered but nodded his assent. After the laments quieted to moans and sighs, the Christian priests led the group past the ruined homes, which smelled of stale smoke. When the first Saxons entered the fortress, a raucous murder of crows flew over the stone walls. Leova hesitated at the broken gate, grimacing at the stench. She glanced at the bowl in Ealdgyth’s hands. She should be with Leodwulf when Ealdgyth placed his ashes in the barrow, but to have Derwine unattended another moment sickened her. Astounded by Ealdgyth’s kindness, Leova nodded as her sister-by-marriage and her nephews headed toward the barrows. She did not want to enter the fortress. She did not want to see Derwine’s body. 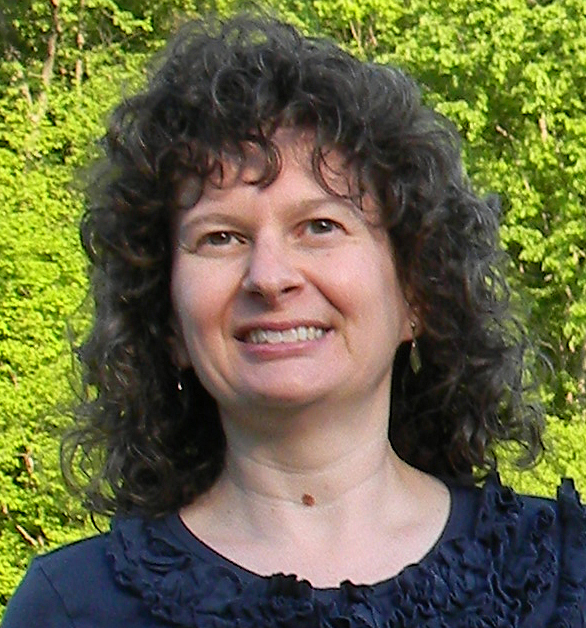 Kim Rendfeld is the author of The Cross and the Dragon (2012, Fireship Press) and The Ashes of Heaven’s Pillar (August 28, 2014, Fireship Press). To read the first chapters of either novel or learn more about Kim, visit kimrendfeld.com. You’re also welcome to visit her blog Outtakes of a Historical Novelist at kimrendfeld.wordpress.com, like her on Facebook at facebook.com/authorkimrendfeld, follow her on Twitter at @kimrendfeld, connect with her on Goodreads at www.goodreads.com/Kim_Rendfeld, check out her Amazon page at www.amazon.com/author/kimrendfeld, or contact her at kim [at] kimrendfeld [dot] com.